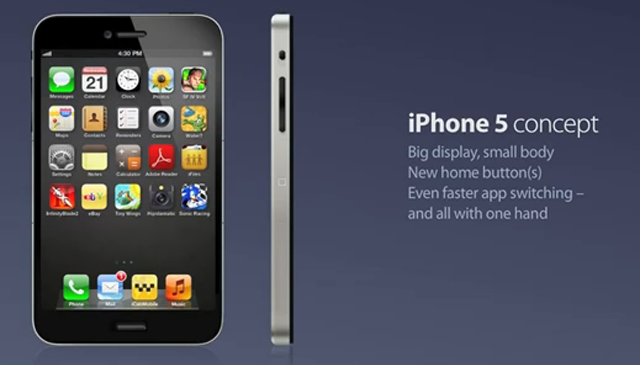 This new iPhone 5 concept comes from Kris Groen (an AppAdvice reader) and shows something new, dual home buttons. The 4 inch retina display remains, but the home button is missing from the bottom of the phone and there are two new buttons added to the sides of the device. According to the designer, these buttons help keep the length of the iPhone 5 the same as the iPhone 4/4S while allowing for a larger display. The two buttons will act as the home button when pressed together. This does not impress me but you may have a different opinion, let us know what you think.